This week we are learning about transport. Read the full post here. 1. Snappy Sounds Vroom! (no author). R simply loves this book. It has different modes of transport on each page, and as you open it, it makes the noises, such as a tractor chugging along. It also has a section down the side of each page with pictures of different modes of transport. R has to find each one in the picture. 2. Thomas's Big Railway Pop Up Book (no author). This is a interactive book with 3-D pictures and a few moving parts, as well as all the Thomas characters! 3. Tractors (no author). I got this board book for R when he was about 6 months old, and he still loves it to this day. It has sections on each page with a "touch and feel" area, as well as real pictures of different types of tractors. 4. The Wheels On The Bus (no author). This book combines the traditional words of the song with interactive elements, such as wheels to spin, pop-up sections and pull tabs that make the picture change. 5. Who Sank The Boat by Pamela Allen. 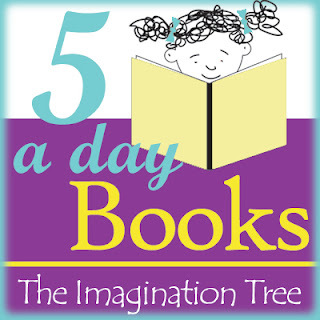 ﻿Linking up to The Imagination Tree.